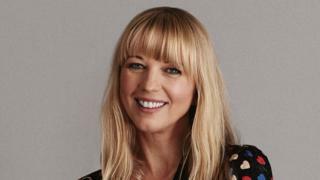 BBC DJ Sara Cox has signed up to host a new weekend show on ITV. The Sara Cox Show will feature entertainment, live music and celebrity guests and will air on Saturday and Sunday mornings. Fellow Radio 2 DJ Zoe Ball used to also host a weekend show for the channel. Ball stopped presenting her ITV show after taking over from Chris Evans on the breakfast show on Radio 2. Cox took over the Drivetime Radio 2 slot around the same time. Cox, said: "I can't wait to keep people company on a weekend morning as they mooch about in their pyjamas, making crumpets and sorting the kids out." She added: "Whether it's people feeling delicate after a big night out or parents getting ready for an activity-filled weekend, I'll bring them funny, relaxed chat with their favourite stars and no doubt there'll be some daft capers along the way." Cox has previously hosted TV shows including The Great Pottery Throw Down and Love In The Countryside on the BBC.